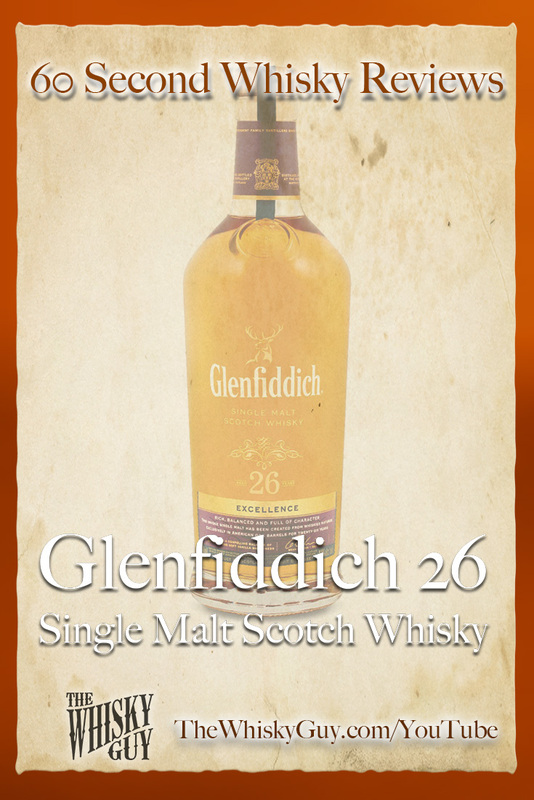 Does Glenfiddich 26 Single Malt Scotch belong in your whisky cabinet? 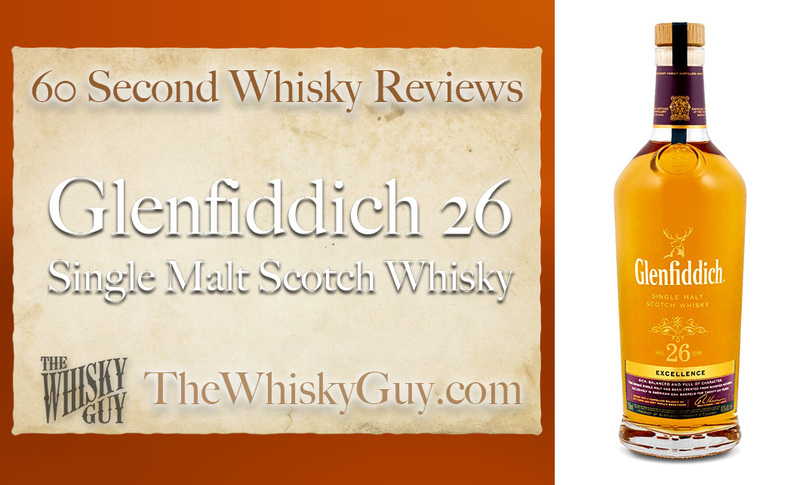 Find out as The Whisky Guy reviews Glenfiddich 26 Single Malt Scotch Whisky in 60 Second Whisky Review #099! Extraordinary age statement whiskies – especially at extraordinary prices – don’t necessarily mean extraordinary whisky. 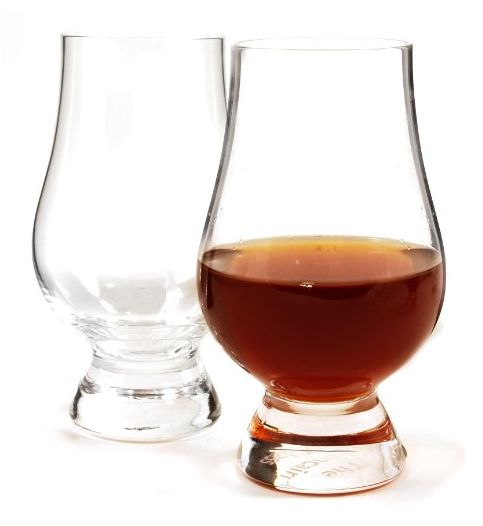 Is this 26 year, $500+ whisky worth the effort and price? 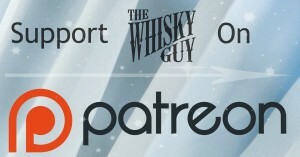 Give me 60 seconds and find out as The Whisky Guy tastes Glenfiddich 26 Single Malt Scotch Whisky in 60 Second Whisky Review #099!